Today’s customers expect a seamless and consistent experience across the growing number of channels they are using to interact with organizations. The primary service channels we are seeing used within the industry are the most traditional ones: phone, email, and chat. However, alternative channels like self-service, SMS, IoT, and social media have started to outpace the growth trajectories of these traditional channels. Hi, I’m Greg Moser with PowerObjects. Today we’re here to discuss Omni-channel and the transformation that we’re seeing in the industry. From a PowerObjects point of view, we’re seeing organizations try to deliver outstanding service by providing personalized, predictive and proactive service to their organizations and companies that they do business with. Regardless if you’re a B2B, B2C or you service both, customers are more educated. They’re more empowered today than ever before. They are actually demanding an Omni-channel service, and if you don’t provide one, they will defect. They’ll leave. What we find is that those companies that deliver an Omni-channel approach will out serve and out perform those that do not. You’ll increase CSAT, you’ll drive out OpEx and you’ll also open up up-sell cross-sell channels like you haven’t done before. 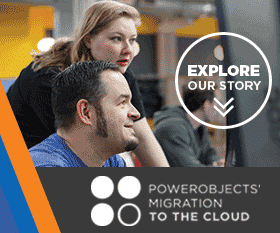 At PowerObjects, we continue to see the same channels drive the transformation and the industry. We’re seeing channels like phone, email, chat, really start to drive a multi-channel approach, but what’s exciting about the industry is for the first time, we’re seeing alternative channels like self service start to outpace some of the traditional channels that we’ve seen in the marketplace. When you look at certain segments like millennials, for example, they would much rather go to the DMV than call a customer service agent. Self-service allows us to take the agents out of the equation while at the same time providing the interaction channel that our customer preferences drive. Another alternative channel that we’re seeing in the marketplace is SMS text messaging. It’s a really cool, interactive and innovative way to provide a high performance level of service to your customers while they’re on the go, anywhere, anytime, regardless of location. The last channel that we’re going to talk about today and the most amazing and innovative is one called IOT, Internet of Things. This allows you to proactively provide service in real-time, understand those inquiries and issues before they happen so that you can drive out OpEx and increase customer satisfaction and deliver proactive service, real-time, to your customers. To learn more about this topic, join us for a webinar on Omni-channel best practices and industry trends featuring speakers from PowerObjects and Forester. That’s it. Thanks for watching, The CRM Minute! Watch as our Power Platform Capability Manager uses Microsoft Flow to create solutions to real-life business scenarios… with no custom coding! May 25, 2018 Ashley Waalen	Be the first to comment. One of the four pillars at PowerObjects is Education. Our Dynamics 365 University offerings focuses on out-of-the-box features and functionality training to help bring success to your system implementation. Watch this D365 In Focus video to learn more about PowerObjects’ Dynamics 365 University! May 17, 2017 Carly Sletten	Be the first to comment. In this episode of The CRM Minute, learn how easy it is to get started with Case Management Automation in three steps for Dynamics 365.